Flicker’s Australia P/L took over Worsted Finishers in 1974, refreshing the post WWII company. This makes Flicker’s Australia one of the oldest textile manufacturing companies left in Australia. The Flicker’s Australia P/L mill is vertically integrated, able to knit, dye, print and sell knitted fabrics, as well as process a wide range of woven fabrics for other companies. Many companies rely on Flicker’s Australia’s flexibility, technical prowess, versatility and reliability in order to advance their products. Their products and products they produce for others are found throughout Australia and overseas for many well-known labels. As the industry has consolidated, Flicker’s has increased its range of products and services to cater for existing and new customers alike, giving them a point of difference. Whether it is a special fabric, that unique shade, that customised print (pigment), that special finish or product attribute (such as anti-microbial), Flicker’s has most bases covered. Not only does Flicker’s occupy an essential and central position in the supply chain, Flicker’s Australia’s Managing Director was a TFIA board member, for over 10 years, supporting the industry as a whole. Flicker’s is keen to support the Australian industry and be supported by it as well. "Australia is our home and Flicker’s is keen to help home grown talent and creativity." Great to see another Australian company in the industry for the long haul, continuing to produce quality product on our shores. We look forward to seeing what the future holds for Flicker's! You can get in touch with them via their website here. Did you hear about Merino & Jumbuck and Sample Room? More members of the TFIA! 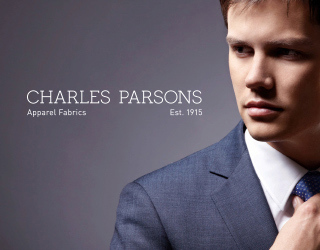 TFIA Member Spotlight | Charles Parsons & Co.
2015 marks a significant milestone for Charles Parsons & Co., who are celebrating 100 years in the textile industry! We therefore thought it a great time to highlight the amazing journey and achievements of one of our TFIA members. The team over at Charles Parsons & Co were kind enough to share their story with us, we hope you enjoy having a read. Charles Parsons & Co., a family-owned company established in 1915 by Charles Leslie Parsons, is proudly celebrating its centenary – no mean feat given the sad fate of the majority of Australian textile companies. While others closed, this company has continued to expand and now has over 350 employees and offices around the world, including offices in Australia, New Zealand, China, Hong Kong, and Fiji. As Australasia’s leading wholesale supplier of textile products and services, Charles Parsons owes its success to courageous and inspired leadership, visionary entrepreneurship, and superior service. These qualities and values have steered this company through the Great Depression, two World Wars, and the vagaries of supply and demand. Every successful company has significant milestones marking its journey, and Charles Parsons is no exception. Having survived the economic crisis of the early 1930s, the company continued to flourish under a strong leadership that recognised the need to adapt to a changing world and changing customer needs. This capacity to evolve was, and still is, a major key to Charles Parsons’ success and resilience. In 1915, when the first Charles Parsons bought out his partner clothing manufacturer, Archibald John Hefren, this would be the first of over fifty acquisitions. By the mid-‘50s Charles Parsons had expanded operations into every mainland state. Throughout the ’70s and ’80s, the company continued to expand and diversify into homeware and interiors, supplying fabrics for drapery upholstery, lining and home furnishings to retailers, designers and manufacturers. These years saw the establishment of Charles Parsons International in Hong Kong, expanding operations into Asia. In 1988, Charles Parsons acquired Rapee Cushions, today a significant player in the homeware market as a supplier of cushions, napery, outdoor and home furnishings. The subsequent acquisition of KST firmly established Parsons Bedding division, with the Parsons Gainsborough brand becoming synonymous with luxury bedding products and accessories more recently. In 2006, Charles Parsons’ acquisition of S+R Fashions gave this company the financial backing enabling it to expand into Asia and New Zealand. As a major supplier of women’s fashions, S+R services well-known fashion labels including Sportsgirl, Sussan, French Connection and Seed Heritage. In 2015, the S+R fashions team launched its own women’s on line fashion label LXÉ. Their high quality garments are produced using premium raw materials, and their simple, classic style readily adapts to changing trends in the fashion market. In 2009, Charles Parsons acquired Line 7, an iconic New Zealand wet weather clothing brand with a strong maritime history. Styled in New Zealand, Line 7 offers an extensive range of rural wear, marine wear and casual wear for men and women. Other major acquisitions include Darche in 2012 (Camping equipment). In 2013 Ella Blue was created specialising in Australian craft fabrics, and Eclipse Textiles (Lycra and spandex stretch fabrics) was acquired in 2014. "Charles Parsons is unrivaled in its offerings and can justly claim to have 'everything covered' when it comes to textiles." Charles Parsons & Co.
Charles Parsons has always prided itself on being at the cutting edge, embracing technology and innovation. The company strives to bring the world’s best textile solutions within reach of local partners and customers, tailoring these to their needs. A significant milestone in this company’s history was the establishment of the Charles Parsons Laboratory in the 1960s. Today, this laboratory is an accredited, highly diversified textile testing centre providing services to its own businesses as well as servicing the textile community at large in Australia and New Zealand. According to Chairman, Vicki Parsons, the success of Charles Parsons can be attributed to its uniqueness as a company that has “always tailored global textile creativity and innovation to our clients' needs, striven to build trusted and supportive relationships with industry partners, and managed the business today with an eye to the future: continuing to evolve." The Charles Parsons group anticipates that it will remain in the forefront of the Australian textile industry. It will continue to evolve, to consolidate existing customer relationships and to invest in expert staff, true to its proud tradition of offering new and innovative products and services to its customers. We look forward to seeing what comes next for this Australian company and congratulate them on their outstanding achievements in the industry! Be sure to take a look over at their website to find out more. You can also see a timeline of Charles Parson & Co's amazing journey here, taking you from 1915 through to the company we know today. Did you hear about Harlow and Sample Room? More members of the TFIA! Sample Room was established in 2009 after Julia Van Der Sommen saw a gap in the Australian Fashion Industry for quality on-shore Pattern Making. Creating a truly unique service where Pattern Making, Sample making, Grading and Specifications can all be completed under the one roof, Julia was able to use her 20+ years' worth of Industry knowledge and expertise to assist start-up labels through to some of the leading retailers in Australia develop their product. With the capacity to work with companies who manufacture both locally and internationally, Sample Room has grown from strength-to-strength over the past seven years. "There has definitely been a move towards onshore development to combat the frustrations of incorrect sampling and poor fit from overseas suppliers," says Julia. "Having more control and ownership of your Patterns and IP has become critical with the influx of overseas brands. We have been able to help brands establish their niche and create a point of difference"
The close relationship between patterns and samples is crucial to the success of any brand and by providing these services together, Sample Room are able to streamline the whole development process for their clients. Sample Room have also created a number of products to assist businesses on a variety of levels to run in a more efficient and effective way. This includes the Fashion Label Launchpad, a six month program designed to support Emerging Designers through their first season on all aspects of Design, Product Development and Manufacturing. "I have found that in the product development and manufacturing process, there is a real lack of information out there, so we want to give our start-up labels the knowledge they need". Also there has been an increased need for Technical Consultations for established businesses. Sample Room now works with big brands to overhaul their pattern libraries, by cleaning out the clutter and creating a consistent fit through their range for smoother development and manufacturing. Through the recent developments in technology and the NBN, Sample Room is able to offer their services with ease to interstate and international customers conducting fittings and meetings on Skype. With the creation of www.patternroom.com.au three years ago, companies and individuals can now also purchase patterns that have been tried and tested for immediate delivery. "These patterns can be used to establish a block library, to use as a base to develop a product or to use as is. Either way it will save time and money. We found so many of our clients needed the basic styles that they could not get from their Manufacturer, so we created them. The local knowledge of fit and body shape is essential and results in happy customers". Sample Room is looking forward to expanding in the coming years, becoming an essential partner to the Australian and International Fashion Industry; to help anyone who feels they need the support and technical advice for their business. And we look forward to watching them grow and supporting their journey. Did you hear about Harlow and Merino & Jumbuck? More members of the TFIA! For close to 40 years Merino & Jumbuck has been making Australian merino wool thermals out of a small manufacturing facility in Melbourne; knitting, designing and sewing the majority of their garments on site. Over the years, the company has developed a substantial and loyal customer base, establishing itself as a leading Australian thermal garment supplier. Merino & Jumbuck’s best selling ‘Merino Skins’ and ‘Thermo Fleece’ brands have enjoyed great success both in Australia and overseas in Asia and North America. The company is now moving into exciting, new directions through its 2016 launch of original garment designs, colours and styles. “We are genuinely excited about the future of wool manufacturing in Australia with its limitless opportunities for a thriving, sustainable wool industry. We are committed to maintaining a strong reputation for Australian quality, style and authenticity and to sharing our beautiful wool products with the world. “ John Kallitsas, Managing Director. 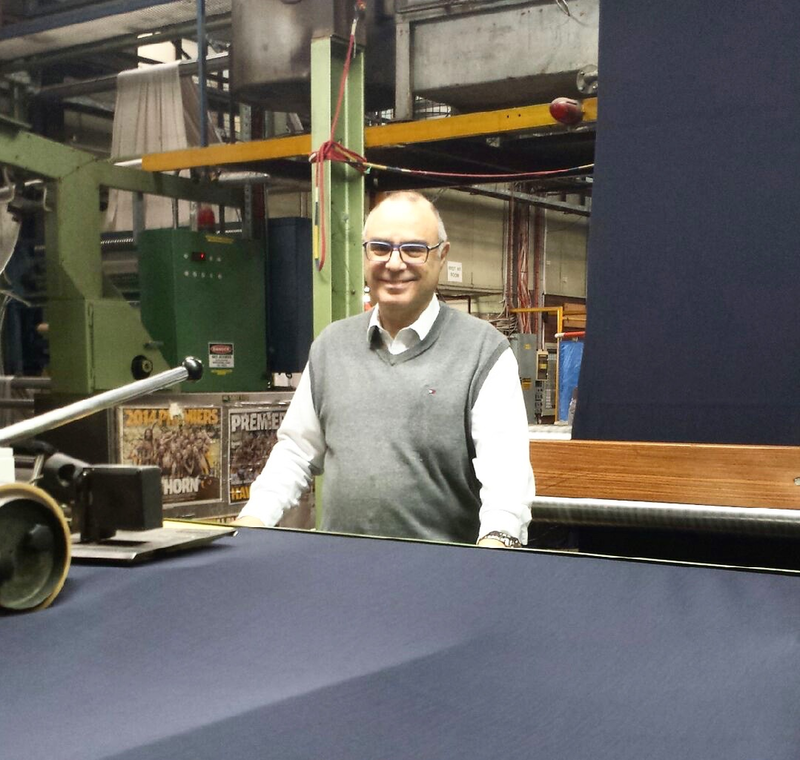 Merino & Jumbuck’s move to a larger premises in East Brunswick has provided increased opportunities for the company to refine its manufacturing practices and to explore new production and design possibilities. We’re excited to see what the future holds for this wonderful Australian company. Happy new year to our members and readers! The TFIA aims to support and advocate the Textile, Clothing and Fashion industries, both nationally and globally. We are an independent, not for profit association that represents the interests of Australia's Textile, Clothing and Footwear (TCF) sector to governments, the Australian public and the global market place. As we move well into 2015 and are working firmly toward outcomes for the year, we thought it valuable to take a look back at all that we were able to achieve in 2014. Our efforts resulted in a range of projects, consultancy, advocacy, submissions and industry representation specifically tailored to our industry. We took on secretariat and facilitator roles throughout the year including the TCF National Sector Manager role for the Industry Capability Network (ICN), the Australian Made Clothing and Textile Hubs for the Manufacturing Excellence Taskforce of Australia (META) and SmartTex as part of the Swinburne Design Factory. Our contributions saw numerous linkages made between TCF businesses, the government and R&D institutions; as well as other cross sector opportunities developed. In the area of advocacy, we were able to meet with various government ministers and departments at all levels, to articulate and push the challenges and opportunities of Australia’s TCF sector. Some of these included the Minister for Industry - Minister Ian MacFarlane, Minister for Employment - Senator Eric Abetz, Shadow Industry Minister - Senator Kim Carr and the Greens’ Adam Bandt. 2014 also saw a number of response submissions from us including the Post Implementation Review of the Fair Work Amendment (TCF Industry) Act 2012, the Entrepreneurs Infrastructure Programme, Industry Skills fund, Defence White Paper 2015 and Competition Policy Review. Last but certainly not least, we continued our representation on a number of committees and associations, including Standards Australia (TFIA Standards & Product Safety Committee), Manufacturing Skills Australia, Australian Design Alliance, International Textile Manufacturers Federation (ITMF) and the International Apparel Federation (IAF). What an enormous year! Thank you to all who were involved through membership and collaboration. We couldn't do it without your ongoing support and participation. Looking forward, what can you expect from TFIA in 2015? This month will mark the launch of our E-newsletter which aims to keep you informed on all things ‘TCF’ including; TFIA news, relevant local and national government information, opportunities for grants and funding, business support and mentoring opportunities, spotlight articles on our members so you can get to know each other, and more. Join the mailing list here to make sure you’re informed. We will be rolling out new member packages to ensure you receive the best service and support for your business. Part of this will include the opportunity to be involved in three industry forum groups that will focus on the sustainable growth of the Australian TCF industry. The forums will be broken down as Government, Clothing and Footwear and Textiles Forums. Furth details on how to get involved will be provided soon. Our Common Threads project, supported by Austrade, will kick off in April with Export Ready Workshops and continue through until August. This project aims to equip suitable businesses with the knowledge, tools and connections they need to create global business by accessing new markets in Asia, focusing specifically on Hong Kong. All details will be included on our website. We really look forward to continuing work with our members and industry this year, and to forming new relationships along the way. Here’s to a productive 2015!